SEO is an involved and strategic process, but not every SEO change you make needs to be a difficult overhaul. Instituting small but important fixes and tweaks can have an important impact on your rankings. Make sure that your target keywords are mentioned in your page title tags. If you are already doing this, update any old page titles that were created before you started incorporating keywords into your titles. If your H1 tags are different from your titles, make sure that they mention your target keywords as well, if perhaps a slightly different variation on them. Include secondary keyword targets in your H2 and H3 subheadings. This should be old news for most of you, but if your site isn’t mobile-friendly in 2019, this needs to change immediately. If you are using a CMS, update to a mobile-friendly theme, otherwise, have your developer update your site so that it uses responsive design. Create a hub page for every top-level keyword your site is targeting by repurposing the information you have collected in all of your shorter, more targeted blog posts. Compile all of the information from your long-tail blog posts into a list of summaries that address the entire concept as a whole. Update your new hub pages with links for deeper dives on pages that cover longer tail keywords. Your hub page can act as a series of summaries of smaller, more targeted blog posts, uniting them together into a cohesive whole, and linking to the subpages for more in-depth information. Each subpage can then act as a hub page that links to even deeper pages targeting even longer tail keywords. Each subpage should also link back to its hub page. It’s best if this is done both through the navigation and through contextual links within the content itself. This can be accomplished simply by updating by updating your existing content and the navigation. Make your contact info readily available. Use trust seals, symbols, and badges. Don’t use generic stock photos. Using SEMrush or a similar tool, identify keywords that you are already ranking fairly well for, such as on the second page of Google, without explicitly targeting. Update your pages to explicitly target these keywords, transform them into “hub pages” for those keywords, and write subpages that go more in-depth on the topic. A related content plugin will add new links to the bottom of your blog posts so that relevant pages elsewhere on your site can easily be found. This reduces the chances of users returning to the search results and staying on your site instead, which can improve rankings and increase conversions and user loyalty. In addition to hierarchical taxonomy, your pages should be updated to interlink to one another naturally. Ideally, every page on your site should receive a contextual link from within the content of another page, wherever such a link would prove useful to the user. Links to trustworthy sites can improve your rankings in the search results as has been confirmed by various studies. Updating your posts to include links to trusted sites is an easy way to give your rankings a slight boost. It will also encourage you to include more specific examples and references in your content. This gives your posts more meat and increasing their trustworthiness with users, as well as increasing your long tail potential. 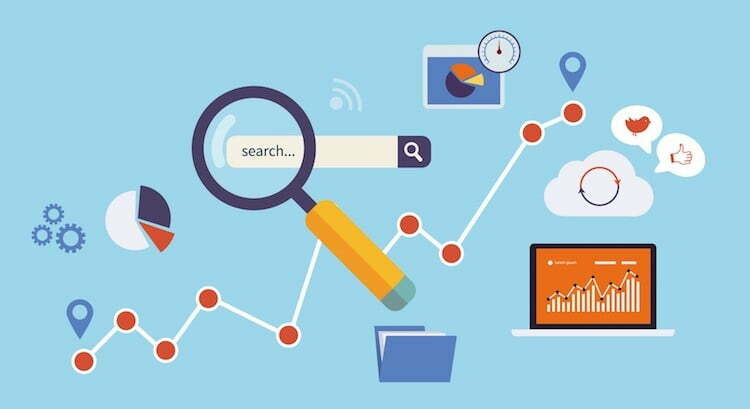 Regularly running technical SEO audits is important in order to ensure that your site always makes sense to search engines and there are no errors that could be hurting your rankings. Scan your site for duplicate content. You can check if two pages are duplicates in Screaming Frog by checking to see if any two pages have the same hash. Filter the URL by “duplicate” to identify any duplicated pages, remove them, set up a redirect to the correct page, and update any links to point to the correct page. Update your evergreen content whenever important changes occur in your industry or additional research leads you to feel the content could be more comprehensive than it was in the past. Maintain your evergreen pages so that they are always more useful and comprehensive than competing pieces of content. When changes are so dramatic that they require an entirely new post, be sure to add an update to the old post with a link to the new one. Any videos on your site should be posted on pages with a full transcription in text included. Google’s ability to crawl and interpret the content of videos is still limited. Transcriptions make it much easier for Google to identify what the page is about, allowing you to target a much wider variety of long-tail phrases. Your CMS should be automatically generating an XML sitemap for your site, and if it isn’t, you need to switch to a new CMS. Make sure to submit your sitemap to Google. Update your images so that they include an image alt tag. The alt tag is meant to display as an alternative to your image for users who are visually impaired or if the browser cannot display the image. For this reason, it is also useful for search engines to determine what the image is about. Make sure that your alt tags accurately meet both needs. Use a crawler to identify any links to 404 pages on your own site. Set up redirects so that any links to these pages refer users and search engine crawlers to a relevant page and no SEO authority is lost. Be sure to update the links on your own site so that they point to the new page, rather than the redirected page, so that no authority is lost through Google’s damping factor, and to reduce server load. Using a crawler, identify any links on your own site that redirect to other pages, and update them so that they link directly to the appropriate page. Links to redirects reduce your SEO authority through Google’s damping factor and create server load. Every SEO strategy can benefit from low-effort, high-impact fixes. Use these tweaks to give your site a boost against the competition in the search results.